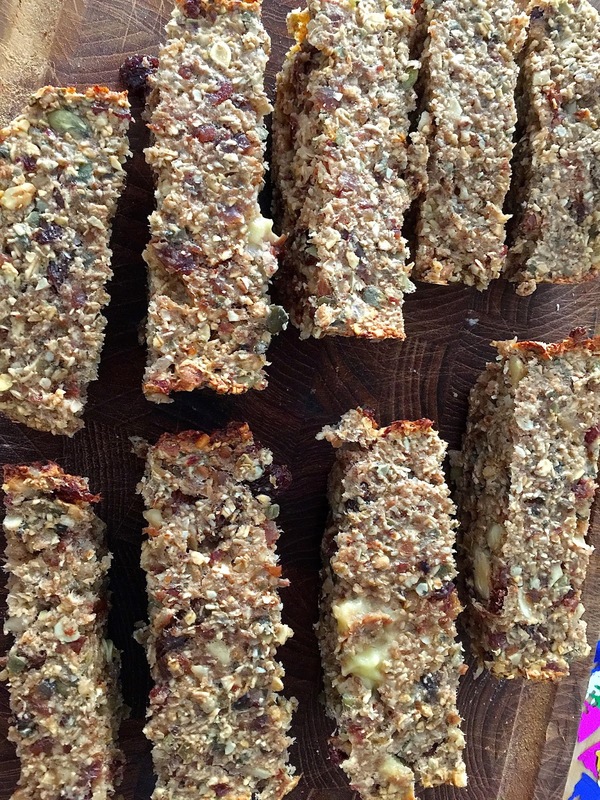 We have discovered the yummiest healthy snack: these banana-oatmeal-cinnamon-dates-raisin-nuts-seeds little bars from a fantastic blog Oh She Glows are packed with nutrients and vitamins, delicious without any added sugar/processed ingredients. You simply mix all the components in a blender and bake this goodness for 25 min. Enjoy!